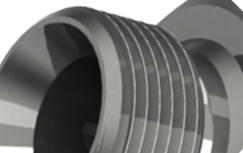 BURNETT & HILLMAN HAVE BEEN SUPPLYING THE MARKET WITH QUALITY HYDRAULIC ADAPTORS FOR MORE THAN 35 YEARS. 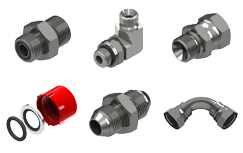 The market for hydraulic adaptors is diverse. Hydraulics are used in almost every facet of industry; Agriculture, Transport, Waste, Defence, Manufacturing, Marine, Construction, Mining, Engineering. Hydraulic power plays a part in keeping these and other industries going all over the world. The market can be divided into 3 main user groups – Original Equipment Manufacturers (O.E.M), Large Consumers and ‘End User’. We supply these markets either directly or through static distributors, operating from trade warehouses providing products ‘over the counter’ to their customers and in more recent years through mobile on site hydraulic repair and replacement services and more recently catalogue distributors. 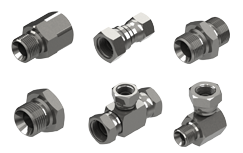 Whatever your Hydraulic Fitting requirements please contact us.